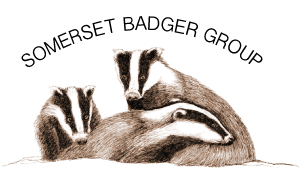 The Somerset Badger Group is appalled and deeply saddened by the Government’s announcement of the unnecessary killing of 19,274 badgers across 17 areas in seven weeks. 1612 of these badgers were killed in Somerset and we are still awaiting the results of the ‘supplementary’ culls in both West Somerset and West Gloucestershire. The vast majority of the badgers killed will have been healthy, with the majority of scientists agreeing that badgers directly cause only about 6% of new TB cases in cattle herds which means the other 94% is caused directly from other cattle. There is no doubt that this disease can have a devastating impact for farmers and Somerset Badger Group recognises this and continues to offer badger vaccination as a scientifically proven effective alternative to culling without the associated risks. The Government continues to mislead farmers and the public into thinking that culling badgers is effective. We call on the Government to stop these inhumane, unscientific and costly culls and concentrate its efforts into making cattle vaccination a reality and supporting badger vaccination not just in the low risk areas but also in the high risk areas.